It was one of these nights to remember. 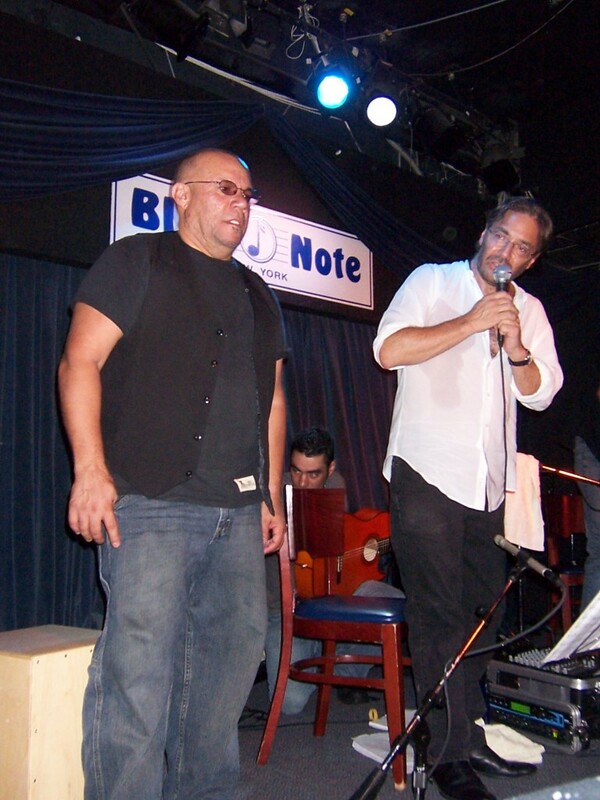 On our trips to NYC we are granted to meet gifted musicians – some of them we meet over and over again and today we can say some of them became real friends what means a lot to us. Tonight we have been in the famous jazz club ‘Blue Note’ that looks back on an incredible history of jazz musicians and their music. When we arrived we got a table right on the stage. 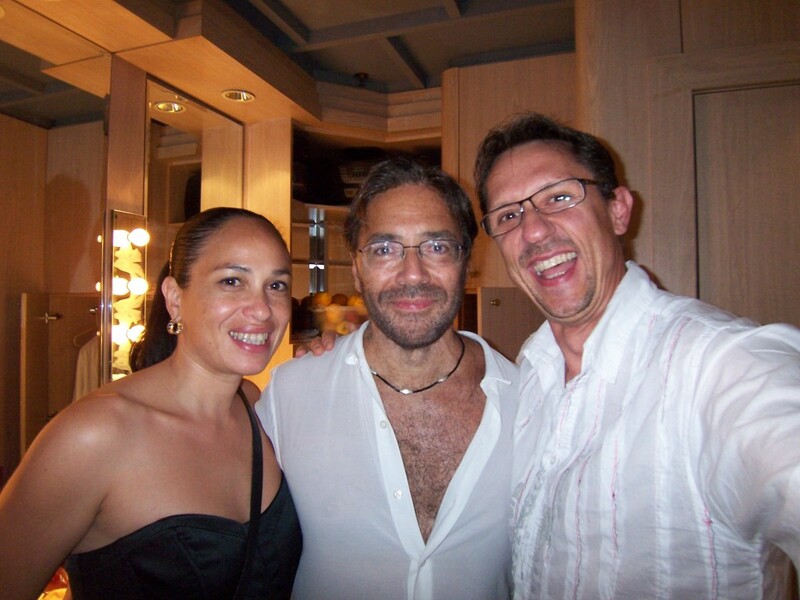 What means that you feel like being on stage with the musicians, so close … and tonight we’ll be together with Al Di Meola. 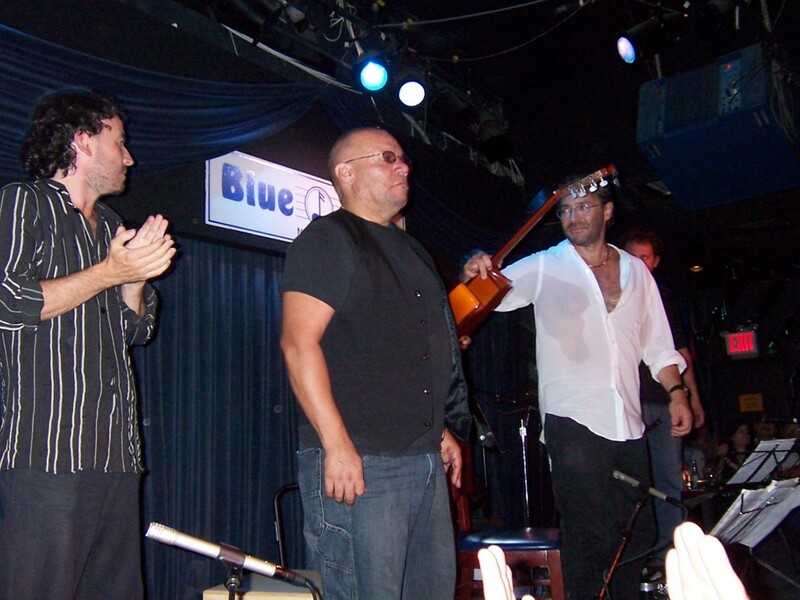 Al took us to another world together with his band and his nylon strings of his acoustic guitar. He was my husband’s idol back in the 70′s when Ralf was learning spanish guitar himself. After the concert Al, Ralf and myself sat together backstage showing pictures of our children, talking about life. What a great evening and experience to have met Al. 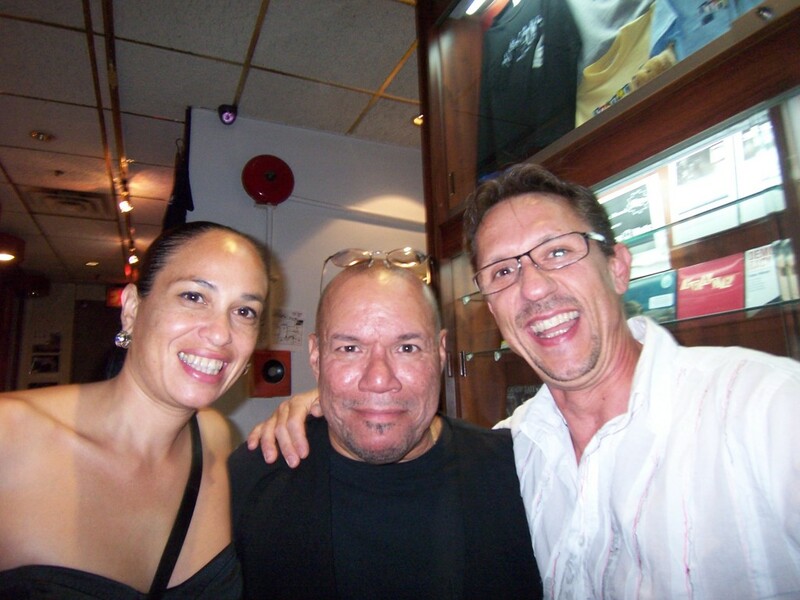 here together with his old friend and musical companion Gumbi Ortiz – an incredible percussionist. What an awesome night for you and your husband! !